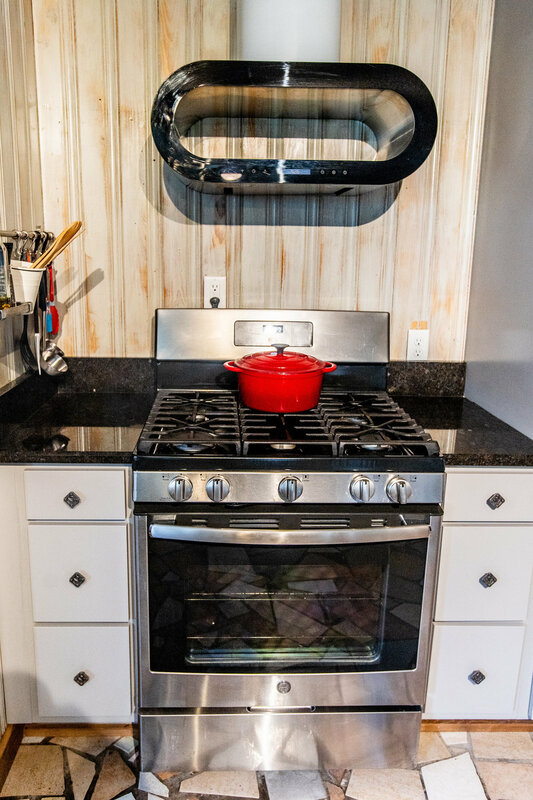 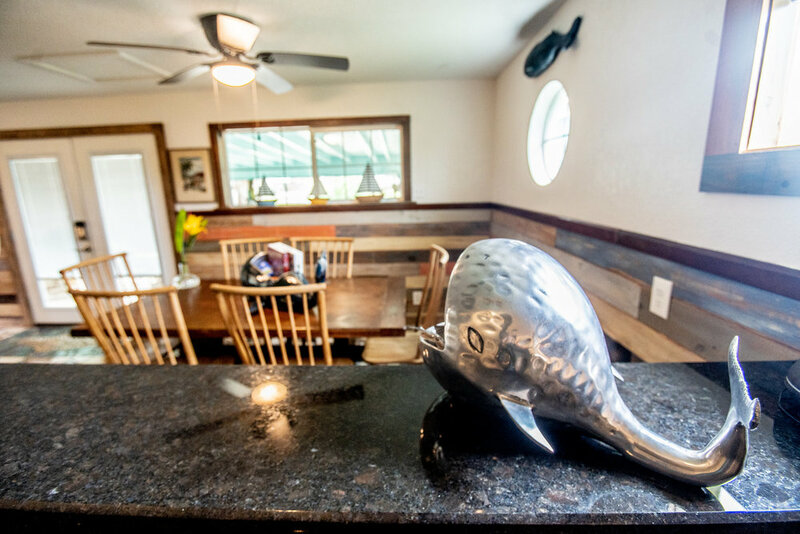 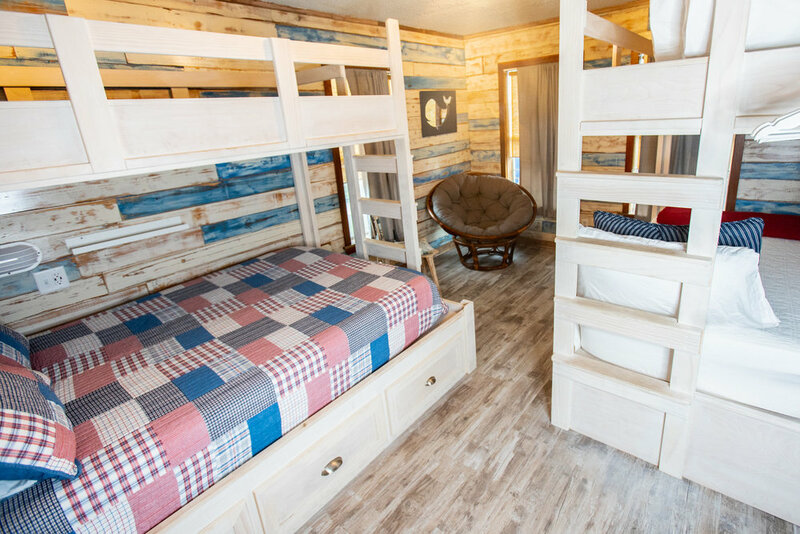 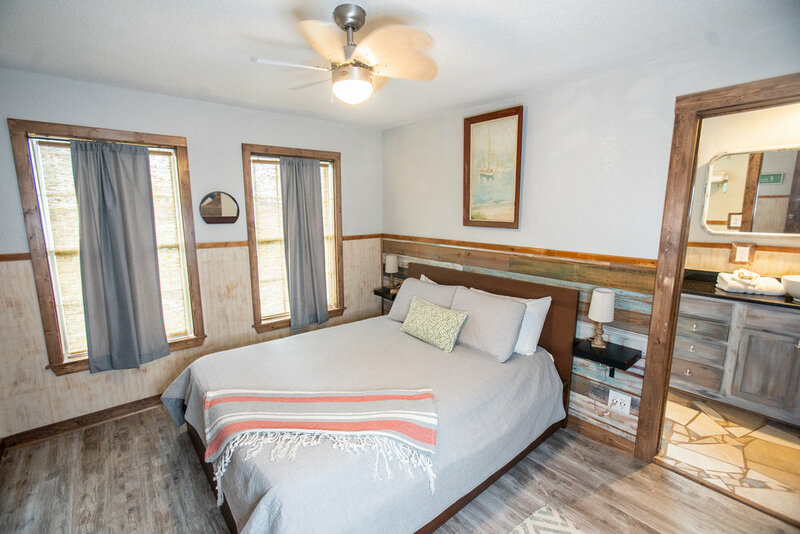 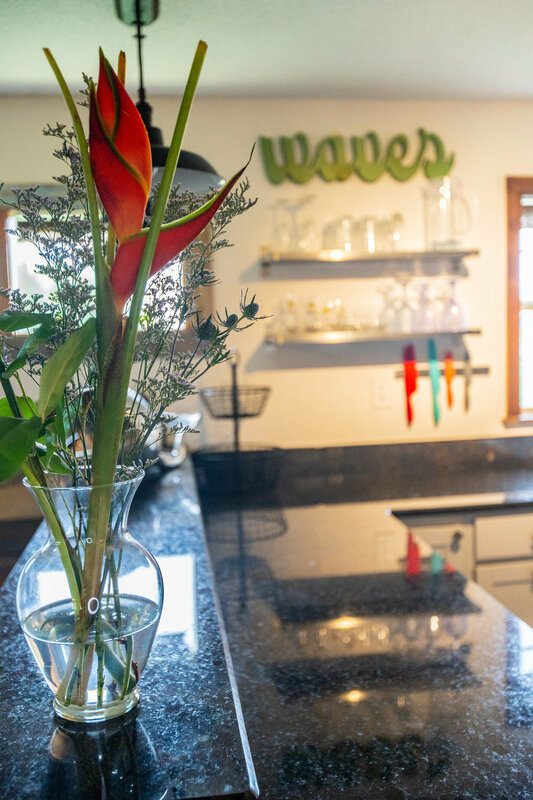 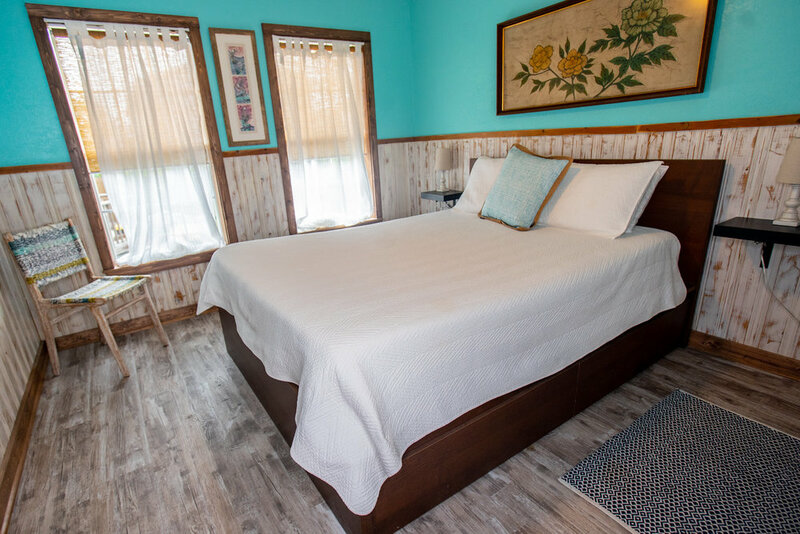 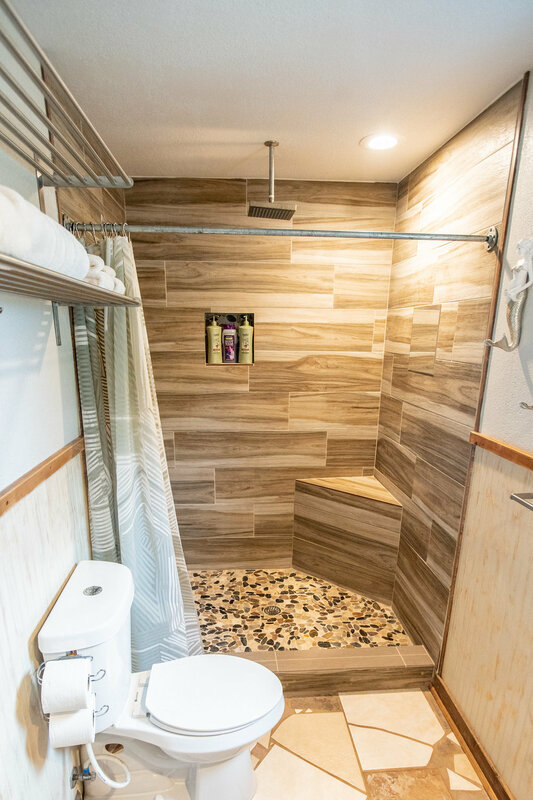 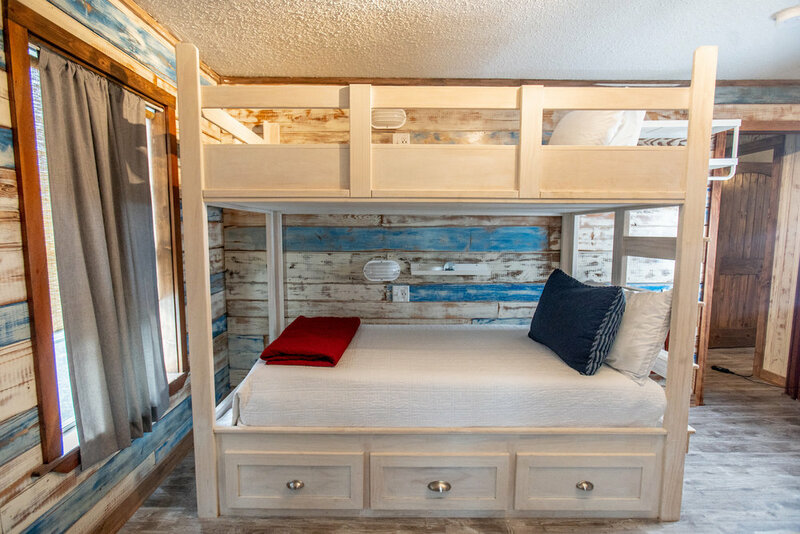 The Anchor is our largest cabin and is perfect for larger families or groups of friends. 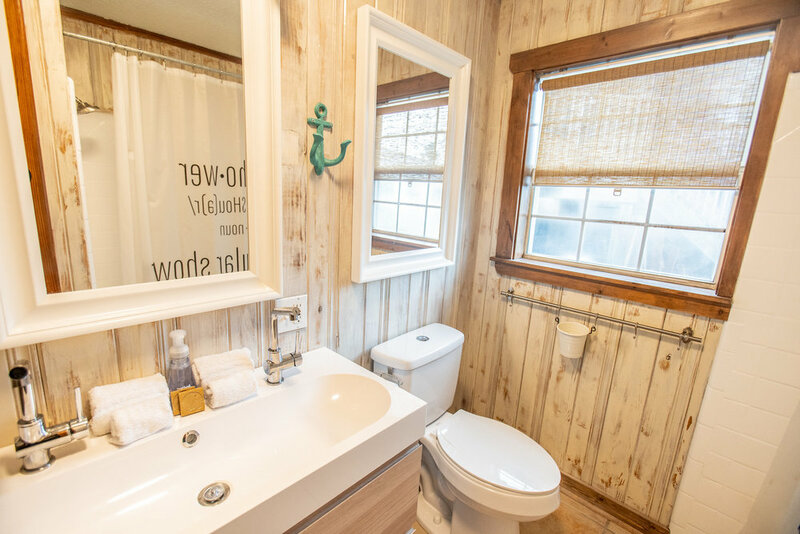 It's three bedrooms and extra bath allow you to spread out and relax, without sacrificing any cozy qualities. 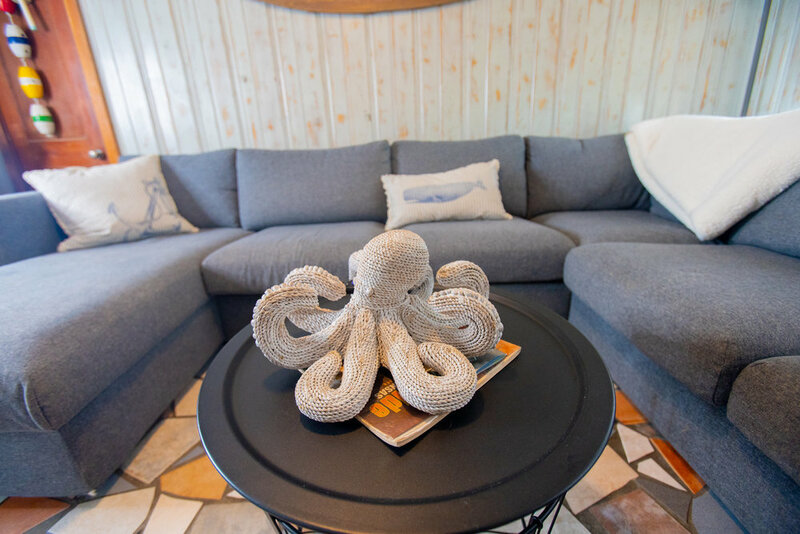 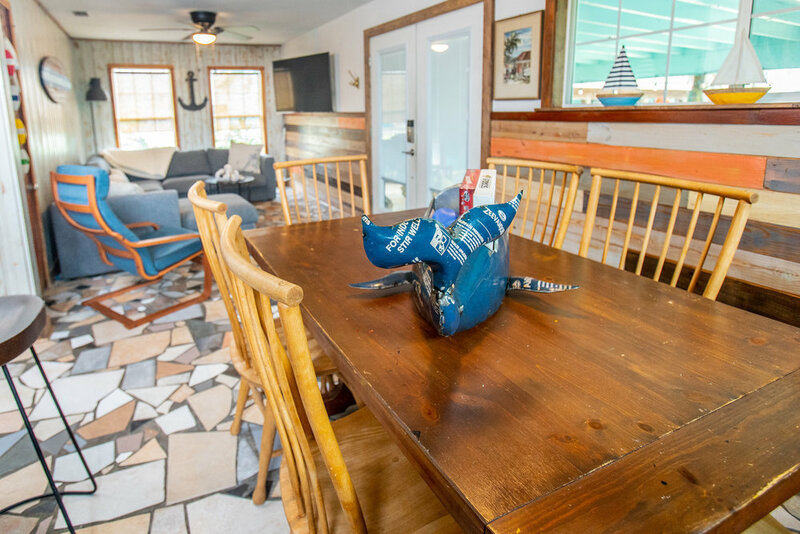 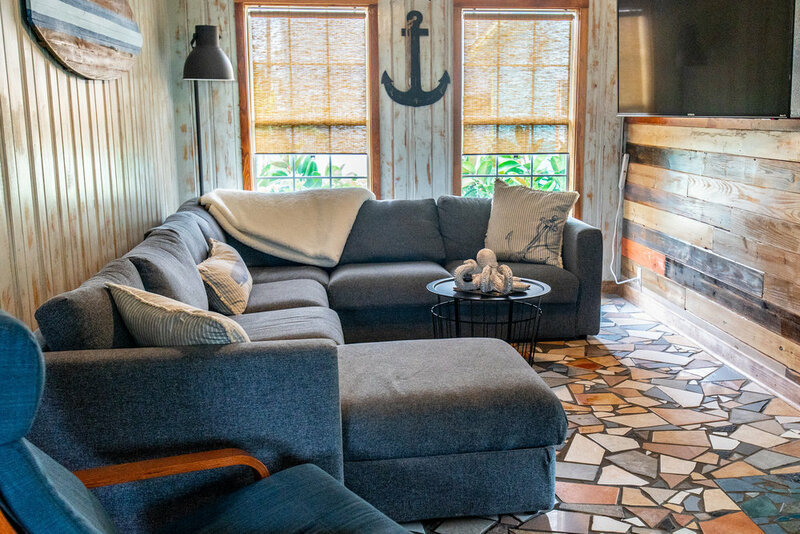 Sitting at the center of our communal porch, the Anchor is one of 5 cabins just a block and a half from the beach. 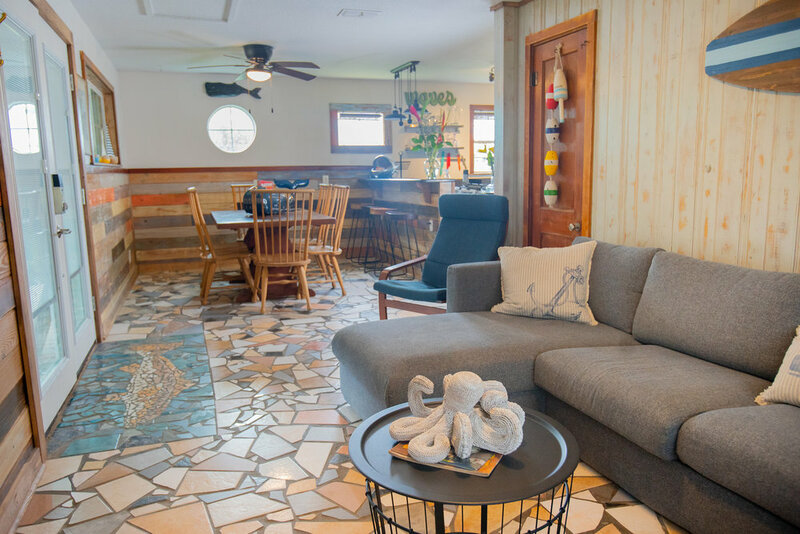 You can usually expect a gentle ocean breeze, so the porch and courtyard are great places to sit and talk or take a quiet nap.